We welcome your comments, questions regarding a specific technical problems, or answers to questions. 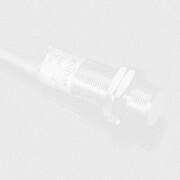 Looking for sensors, transducers or measuring instruments ? Find them in our e-Shop ! If you are looking for sensor-related information that is not available on Sensors Web Portal, posting your message to this wish list may lead you to valuable resources and information helping developers and vendors realize new applications for their products. Please click <here> to send your Wish List items. I am looking for a high temperature humidity sensor for temperatures up to 700 or 800 degree Fahrenheit. I am looking for a system that detects the sense of rotation of cement mixer drums in a concrete truck mixer. Any help would be great. I am looking for a sensor/manufacturers that could give me data reading on solid 1 meter thick concrete tunnel walls to detect leakage. We need electrochemical biosensor, which can measure fats & proteins in milk. I want the details of chemical sensors used to measure n.p.k of the soil. I am looking for wireless soil moister sensors with ZigBee support for our Agriculture Project. Could you please help me with the manufacturers list who can supply to us ? I need a low cost distance sensor with voltage output. It can be of ultrasonic or laser. We are hoping it with a range of 100 cm and output voltage up to 10 V.
Hoping a reply with its price and specifications attached. c. The Piezoelectric Sensor must be very small sized such as some mm dimensions. Looking for a glucose autosensor transducer, which works on reverse iontophoresis. We are developing new sensing technologies that can detect an extremely wide variety of chemicals in water, and wish to know for which chemicals there is the greatest need and the least supply. I am looking for wireless soil moisture sensor for our agriculture project. Could you please help me in give the manufacturer list who can supply to us ? 3. Key suppliers in South East Asia for fuel level sensors and air pressure sensors. I am looking for Hexan Vapour detection sensors. Looking for a single-axis tilt sensor with high internal damping. Response time should be ~3-5 seconds. Range ~5-10 degrees. Preferred output is high-level analog (~5V), but others considered. I have tested the HLPlanar NS-5/E which is fine, except that its response if much too fast (although it is specified with 3 second response time). Sensors Web Portal reserves the right to edit messages for clarity and space. 1999 - 2010 Copyright ©, Sensors Web Portal, Inc. All Rights Reserved.